Synopsis: While the two six-episode installments were previously slated for late 2017 to early 2018, the staff announced at the panel that they are both slated for 2018 with a break in the middle. The two seasons will have completely separate stories. 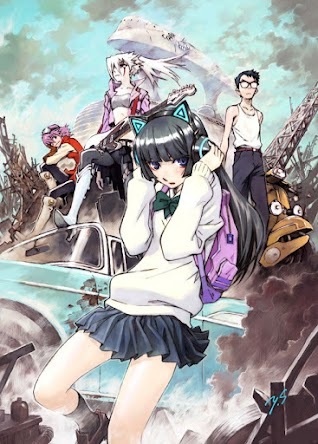 The staff previously announced that the 12 episodes will be a sequel to the 2000-2001 original video anime. 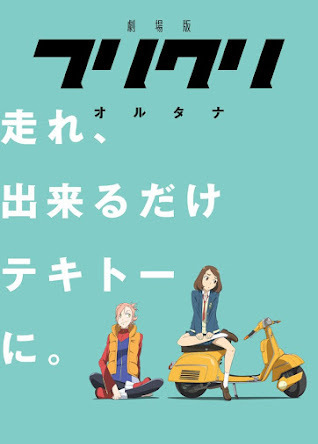 In the new season of FLCL, many years have passed since Naota and Haruhara Haruko shared their adventure together. Meanwhile, the war between the two entities known as Medical Mechanica and Fraternity rages across the galaxy. 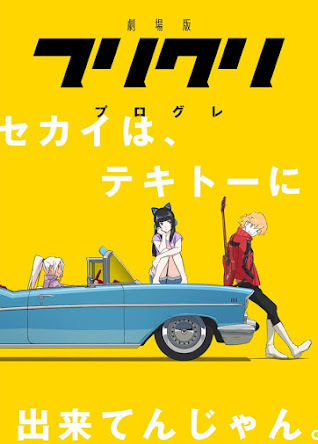 Enter Hidomi, a young teenaged girl who believes there is nothing amazing to expect from her average life, until one day when a new teacher named Haruko arrives at her school. Soon enough, Medical Mechanica is attacking her town and Hidomi discovers a secret within her that could save everyone, a secret that only Haruko can unlock. But why did Haruko return to Earth? What happened to her Rickenbacker 4001 she left with Naota? And where did the human-type robot "Canti" go? There won't be a sequel to FLCL and a remake would be kinda pointless. 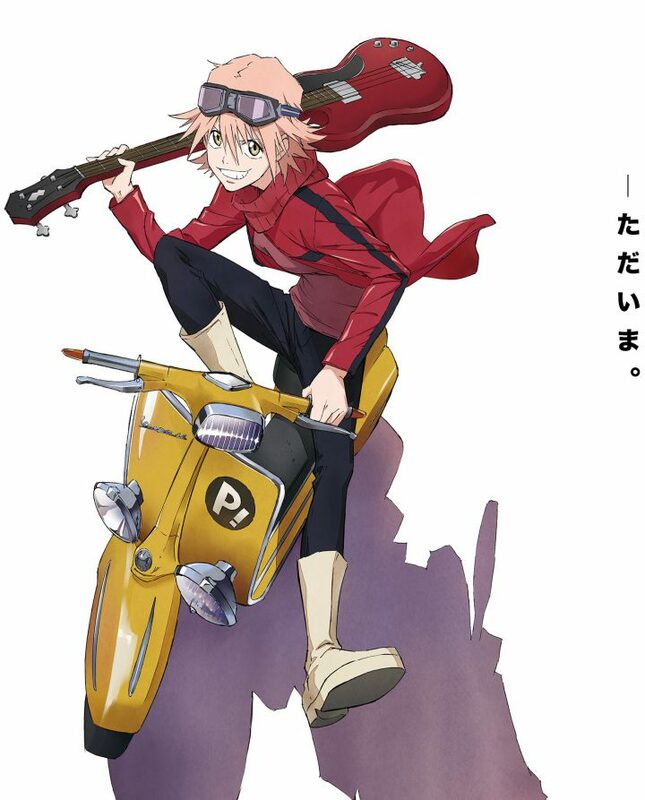 A lot of FLCL seemed to be playing around with random ideas and various drawing styles. There a bunch of different styles in just those 6 episodes so a remake I think would be kinda pointless. It's animation is part of what makes it unique. It'll get most of us rewatching the original at least... and wondering if the new production team has anything as nearly creative up their sleeves.... which is the hard thing to do when doing a project like this... you are competing against the expectations of the original... after a rewatch, we should consider if it was as good as we thought it was... before criticizing this continued storyline or parallel one or whatever? Is this one done yet? How is it compared to the original? Just finished FLCL Progressive, after first watching the original anime again... which is definitely unique.... this sequel sort of picks up years later, the kid is gone and unexplained, so a new story that is pretty good, just not as good, which is what the comments I read said.... so they were right... but still fun to watch... but after rewatching the original first, the difference really sticks out. Progressive is sort of 'watered-down'.... is it a different city? perhaps so, as this is supposed to be happening all over, right? Not that it matters.... like the end song... well the music more than the vocals. It wasn't as weirdly wonderful/crazy as the first... though I read some comments that said Alternative is better? It wasn't as weirdly wonderful/crazy as the first... though I read some comments that said Alternative is better? Edited by gdpetti, 09 October 2018 - 08:53 PM. As already posted above Alternative is currently airing, dubbed up to ep.5 so 1 more·left this upcoming saturday... usually i don't enjoy crazy stuff just for the sake of madness, but yes S1 got an unique style that hooked me back then! Oh well... this series has less characters, more basic high school stuff, so easier to plot around... less clutter... in some ways better, in other ways worse than Progressive... but there are moments in this, like that rap scene that reminded me of the original that was total wacko.... the team doing this really needs to focus on that.... 3 eps left... I wonder if they will just end this like the others... no real ending, no explanation... which points to another series anytime they want... if the ratings/sales etc are there to finance it.... It's always hard to recapture the magic of an original series... but are they really trying to? most of the sexual stuff is gone in both of the new cours... and most of the quirkiness is gone too... no more Vespa... I forgot what happened to it last time..... time has passed... characters age.... Oh well.... could be better written on all fronts, but still entertaining..... just not edgy at all... .like the original. The H.S. setting does that... the cast of friends etc... hmmm.. I think they are trying to be mainstream too much... at least there are a few hints here and there in this Alt cour so far... I'd like to see more. What this reminds me of is the Disney redo of Lucas's Star Wars franchise.... a pale redo... nothing more.... and even Lucas went too family friendly by the 3rd one... .so no surprise. 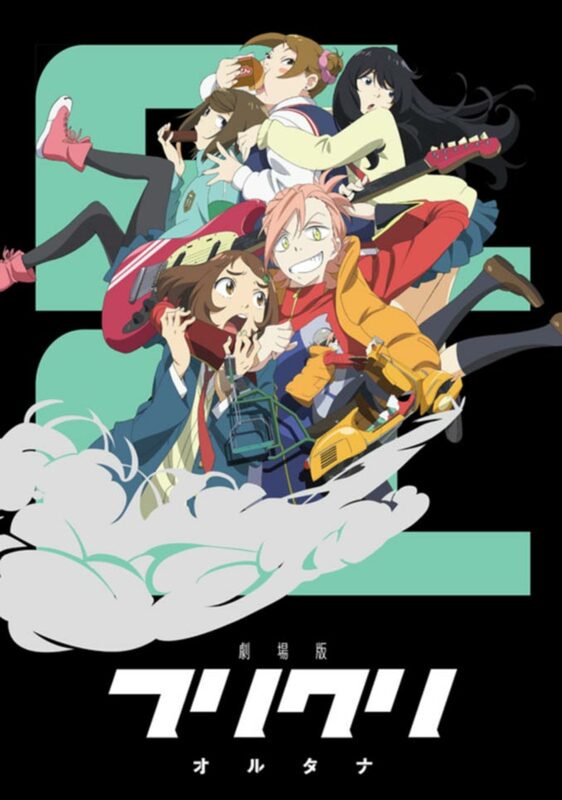 This seems to be the case with FLCL redo... I wonder if the original creators of it are involved or not? Finished it.... ep 4 was pretty good... but it continued the same to the end... IF that was the end... the girls's (Hana) speech on love, friendship etc was a little lame, don't you think? and that symbol on her forehead wasn't setup in the plotline earlier... .so little effect when we see it.... as it isn't explained, like everything else... you can't continue a story like this without enough background info.... you have to foreshadow things as well.... weakness in the script... .ok otherwise.... but like the original, we still don't know WTF is really going on.... we assume it's us vs them, but 'them' isn't explained.... so that makes it hard to get into that action much.... a weak ending... which doesn't really seem like an ending.... same as always.... still no exposition on the setup.... why some people (kids mostly) are able to produce stuff from their minds and others aren't.... etc. Oh well.... kind of glad it's over... imagine if it went for another 6 eps with the same result. no real ending, no explanation... which points to another series anytime they want... if the ratings/sales etc are there to finance it.... It's always hard to recapture the magic of an original series... but are they really trying to? most of the sexual stuff is gone in both of the new cours... and most of the quirkiness is gone too... no more Vespa... I forgot what happened to it last time..... time has passed... characters age.... Oh well.... could be better written on all fronts, but still entertaining..... just not edgy at all... .like the original. i think it's mild' to not be censored in CN Adult Swim, Toonami or whatever?... still seems i'm not missing much, so no hurry for me until they end subbing! Watching that YT vid on FLCL production... at IG... new staff that knew nothing about the original?.... then it seems those they choose did love the original.... THe original creator said he did what was in his mind at that time... a zeitgeist thing it seems... and he couldn't do it now.... or something like that..... This explains the problem with the new cours.... lacks that vibe... this always happens when times change and new staff take up an old project.... especially if they fail to understand why it worked... even, or especiallly if they liked/loved it... it's obviously a different vibe... Oh well... it's over. Thanks for the vid ... explains it. Oh well, to be expected when they don't understand why something worked... how can they even try to replicate it? the original being 'crazy cool'... as the new ones aren't.... not bad, but lacks that feeling..
it has moments, but the band lacks that feel from the past as well as the directors etc.... but that's to be expected as time passes and people get older, mature, deal with their issues etc... they lose that 'angst'.. they lose that sexual fascination/frustration etc.... the writer of the original was honest at least.... maybe he didn't need the money, didn't want to 'sell out'... or just wanted to stay true to himself etc. The new stuff is still pretty good, but not the original... and what surprises me the most is how they fail to see it.... especially that producer from the production company... of course they fail to achieve the original's feel, because they never felt it. I always watched the dubs, so the voices don't matter to me... it's the storyline... which is a bit weaker this time.... some of the stuff is there, but not the crazy cool stuff.... and if the production team doesn't get the original, how can they redo it? I think it can be simply put as going from original stuff to a copy.... a clone without the personality. Not the VAs, but the writing.... and the original writer isn't here... so they sort of made a copy, but couldn't capture the 'magic' because they don't seemed to have 'gotten it'..... from the vids anyway.... it's more family friendly... the original was not. the voices don't matter to me... it's the storyline... which is a bit weaker this time.... some of the stuff is there, but not the crazy cool stuff.... and if the production team doesn't get the original, how can they redo it?